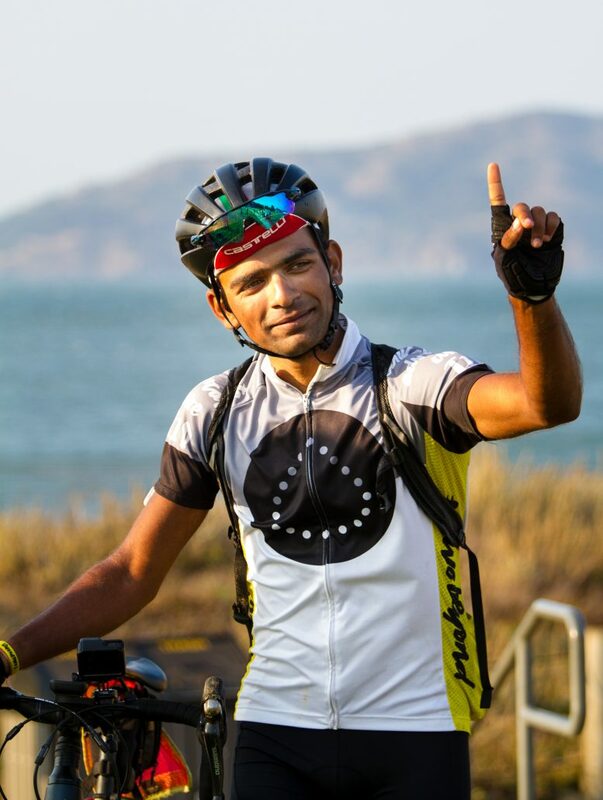 Type 1 diabetes almost killed Sid Sharma, but two years later, he's tamed it and riding it all the way from New York to San Francisco. 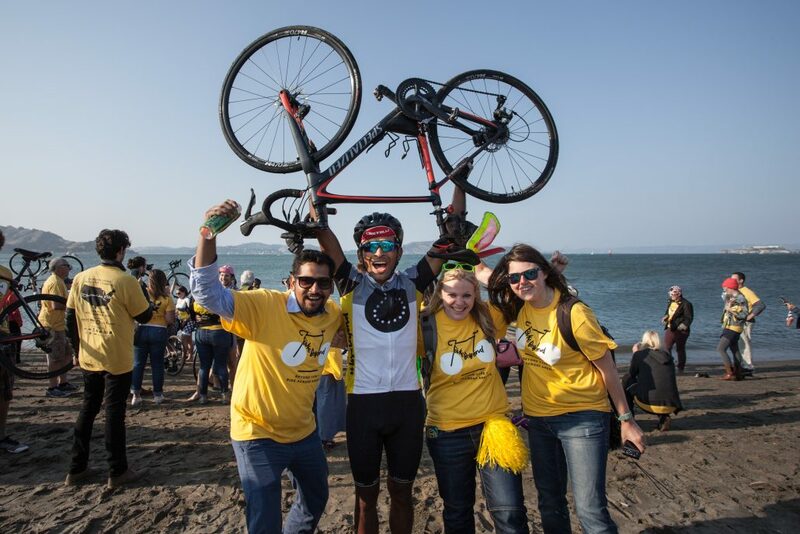 Just a few weeks earlier, Siddarth Sharma was fantasizing about a cross-country bike ride with a friend when he got an email proposing he lead one: Bike Beyond, a 4,200 mile bike ride from New York to San Francisco made exclusively by people with type 1 diabetes. The email was from from Beyond Type 1, the diabetes advocacy organization he had been blogging for. Just two years ago, type 1 diabetes was what nearly killed him. Describing his six months of sickness before finally being diagnosed in October 2015, Sid says, was absolutely shattering, like “hanging onto a cliff by the edge.” His eyes lost their whites, and his fifteen minute walk to work became a 90 minute death march. “To not know what is wrong with you and see yourself disintegrate and to have no answer because you’re eating five people’s worth of food and drinking ten people’s worth of water every day and it’s not going anywhere—that was harder than anything,” Sid says. As a semi-professional cricket player and an ambitious engineer, sickness disrupted Sid’s life in profound ways. His five and ten-year goals flew out the windows as sickness whittled away his self-confidence. Eventually, Sid felt so ill he turned to his parents for help. When he got to his parent’s house, he practically collapsed into his father’s arms, he was so weak. Sid and his father went from hospital to hospital, each time receiving him the same results: blood sugars through the roof. His dad didn’t want to believe it. “He knew what it meant but he didn’t want it for his son. He kept saying, ‘maybe the machines are calibrated wrong.’” Sid said. But all the tests showed the same levels. A general practitioner told him to forget about playing sports for the rest of his life. He went back to the UK to get insulin, but upon arrival was misdiagnosed with type 2 diabetes and given incorrect medications. A few months later, his blood sugars were off the charts. An endocrinologist was finally able to correctly diagnose him with type 1. He got his diabetes equipment and insulin and took them home. They sat together as he took his first dose of insulin, his hands shaking. He knew he would be taking it for the rest of his life. Seeing Sid now, it’s hard to believe this happened only a few years ago. Sid is incredibly fit, and he’s not messing around. He has the intensity of someone on a mission. 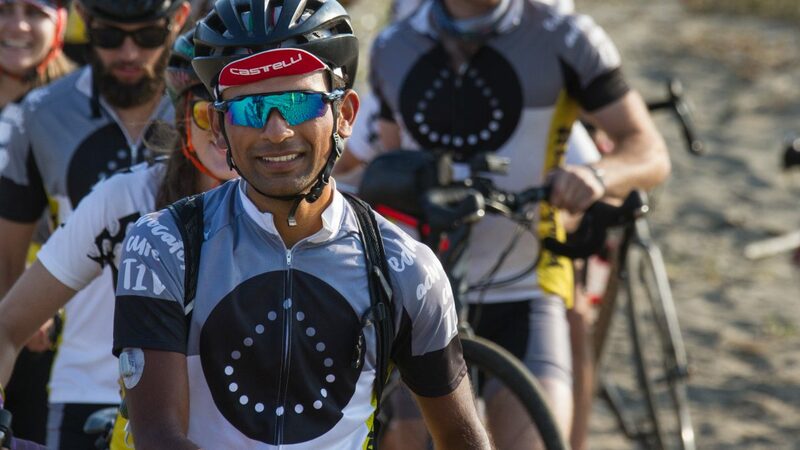 True to Varun’s description, three days after his diagnosis, Sid said to himself: “I need to do something that’s a bigger challenge than type 1 diabetes.” So he signed up to bike from London to Paris. It was an ambitious challenge considering that at the time, he still found it exhausting to walk from his bedroom to his bathroom. But Sid was determined to make it, and began training, sharing his journey on social media as he went. In India, where Sid was born, people with medical conditions are often considered social outcasts. It was this culture of stigma around illness that made Sid determined to be open about his diagnosis. He also wanted other people with diabetes to see what he was going through. His first post read: “So Happy after my first proper ride… 14.1km with a moving time of 44.01mins. Blood sugar slightly low by the end but loved every minute of it. Sid eventually completed complete the 300-mile ride from London to Paris in just three days. And from his Instagram posts, Beyond Type 1 discovered Sid. A year later, the invitation to captain the cross-country ride with twenty fellow type 1s would provide an answer. Sid took his role of captain seriously in regards to being of service to his team. Getting a group of people with diabetes across the continent safely was not an easy task. The team had a lot of scares including one seizure. But Sid was up for the job. When Sid’s says his blood sugar is exceptionally well controlled, he’s not bluffing. He didn’t have a single “hypo” — diabetes slang for an occurrence of low blood sugar in which thoughts slow and vision can get blurry— while biking across the country (he did have a few post-ride and one in the middle of the night). Comparatively, most of his teammates were having five or ten a day. The point of everything he now does, according to Sid, is to show that it’s possible to live beyond type 1.In fact, when Folks caught up with him at the end of the ride, he was leading led his team in a chant. “BIKE BEYOND!” his team–his friends–echoed back.